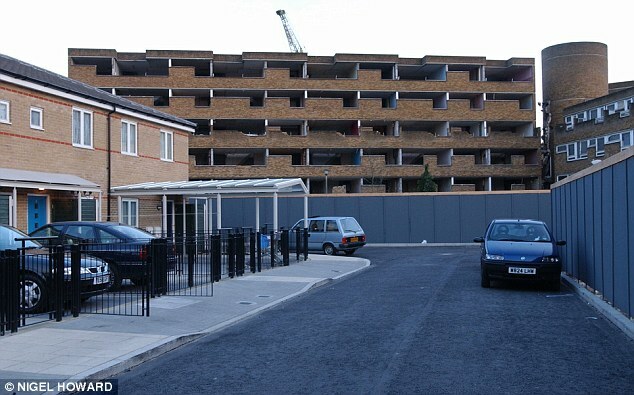 The North Peckham estate was redeveloped as part of the ‘Southwark Estates Initiative’, a regeneration strategy devised by Southwark’s Labour administration as part of New Labour’s ‘Urban Task Force’ urban renewal strategy. The GLA report confirms that the Five Estates project comprised 3203 homes, which were demolished and replaced by 2019 new homes provided in a “more balanced tenure mix”. Overall, the scheme resulted in a net loss of 1184 social-rented dwellings. It is unknown how many of the new-build social rented dwellings (managed by housing associations) have since been converted to affordable rent (i.e. up to 80% market rent. 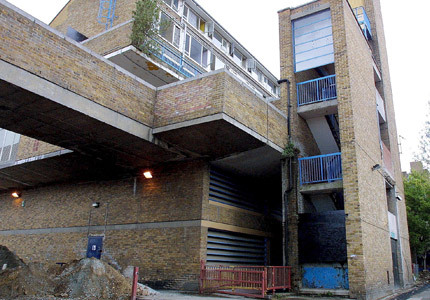 Luna Glucksberg, lecturer in urban studies at Goldsmiths University wrote very interesting and informative chapter of her PHD thesis on the regeneration of the North Peckham estate. 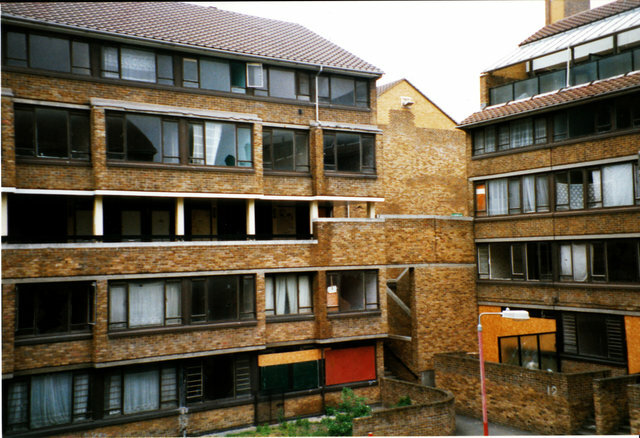 The excellent Municipal Dreams blog has written extensively here, here and here about the history of the North Peckham estate and its regeneration.